When Malena Sevilla's tidy, carefully planned world collapses following her father’s mysterious suicide, she finds a letter--signed with an “A”--that reveals that her mother, who she thought dead, is very much alive in San Isidro, a quaint town tucked in the Andes Mountains. 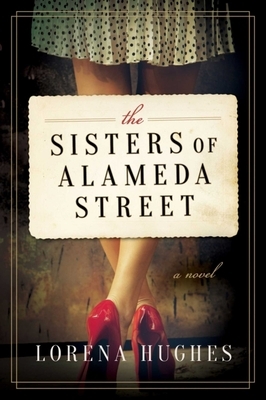 Intent on meeting her, Malena arrives at Alameda Street and meets four sisters who couldn’t be more different from one another, but who share one thing in common: all of their names begin with an A. Set in 1960s Ecuador, The Sisters of Alameda Street is a sweeping story of how one woman’s search for the truth of her identity forces a family to confront their own past. Lorena Hughes was born and raised in Ecuador until moving to the United States at eighteen. Her first unpublished novel, The Black Letter, took first place in the 2011 Southwest Writers International Writing Contest in the historical fiction category and received an honorable mention at the 2012 Soul-Making Keats Literary Competition.